I live in Florida and have a small pond. 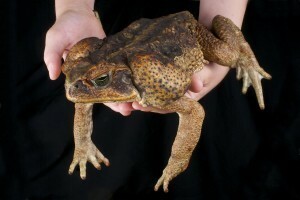 It attracts giant toads and they’re dangerous for my dogs. Will your toad repellents keep them away and not harm my dogs? The repellents listed in our TOAD CONTROL article have been used successfully to repel giant toads. And they can be used safely in yards with have pets. The most common products to keep the giant toads off your property is to first apply PEST RID GRANULES throughout the yard. You’ll want to place it along the path way they might use to enter the property. Next, spray over the granules with PEST RID SPRAY. Treatments should last 4-5 weeks so you’ll want to renew it monthly when they’re active. Pest Rid is ideal for yards with ponds, streams or rivers because it uses nothing but food grade actives and won’t pose a hazard to people, pets or aquatic life in case of run off. 1 lb of granules will cover up to 250 sq/ft; the 2 lb jar handles 500 sq/ft. 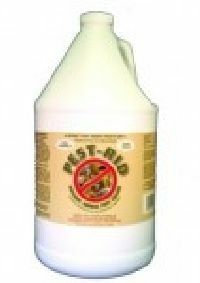 Pest Rid spray comes in quarts and gallons. The quart size comes with the sprayer top and can treat 125 sq/ft. The gallon size will need a good PUMP SPRAYER to apply and will cover up to 500 sq/ft. If you need a sprayer, this one works well.